It's real wedding time again. 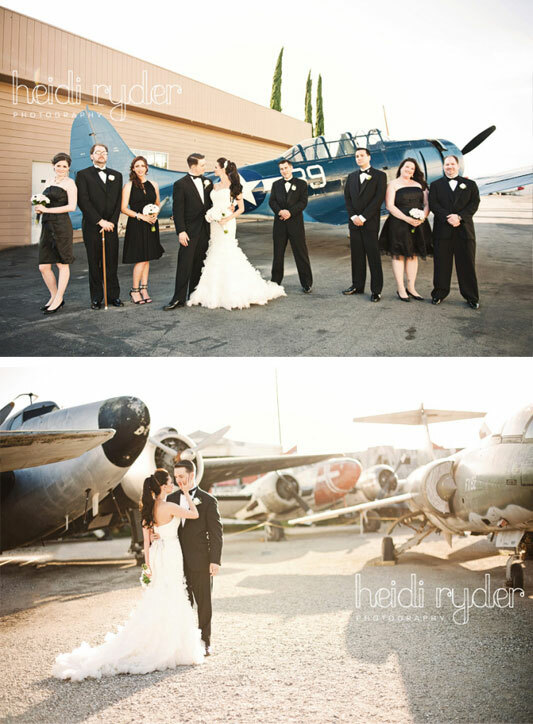 And this month we have a stunning vintage aviation inspired affair. The venue was the amazing Planes of Fame Air Museum in California, photographed by the lovely Heidi Ryder - who clearly had a lot of fun with those gorgeous antique planes for props. Justine and Stephen set the scene for their vintage aviation wedding with 'i do' it yourself's antique chic boarding pass invitation and a custom map design. A simple craft paper envelope all adds to that old fashioned feel. 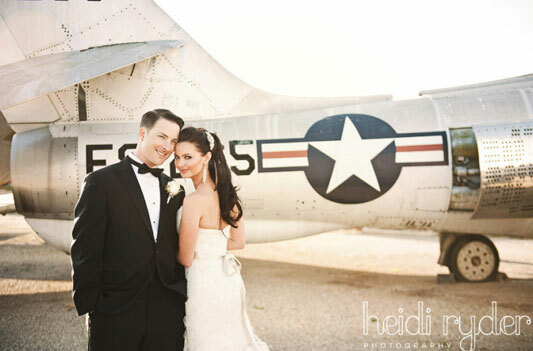 After a traditional church ceremony they headed to the very unusual airplane hanger reception venue. Beautifully styled in elegant black and white, the old hanger came to life full of 1940s glamour. This is, a great idea ... love the photos.